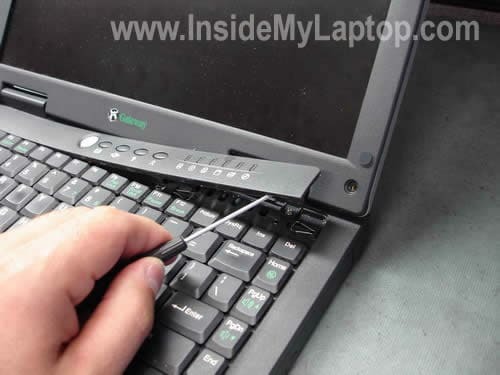 In the following guide I explain how to remove the inverter board and LCD cable from a Gateway Solo 1400/1450 laptop. 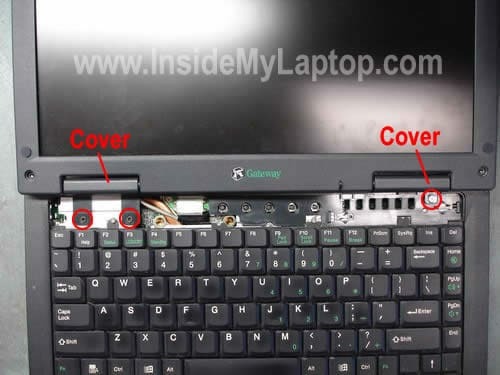 This guide should work for many other Gateway laptops. 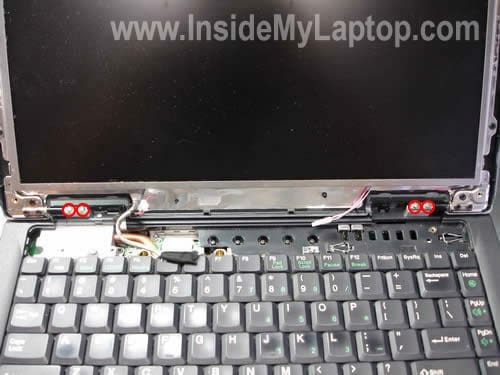 First of all, remove the laptop battery. 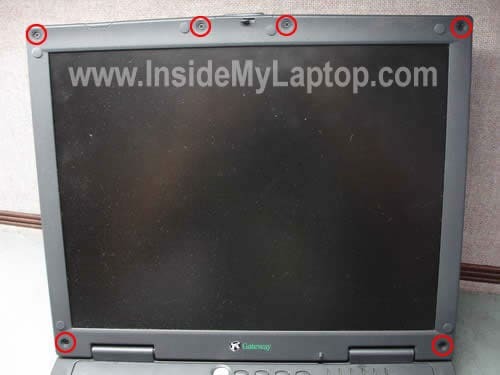 The LCD bezel has six rubber plugs covering screws. Remove all rubber plugs with a sharp object. 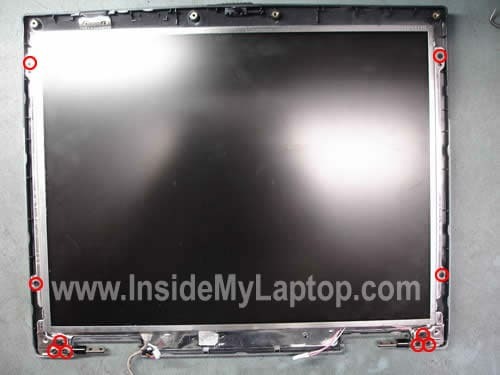 Now you can start separating the LCD bezel from the cover as it shown on the picture below. Remove the LCD bezel a.k.a. LCD mask. You’ll find the inverter board below the LCD screen. The inverter board is glued to the LCD cover with a double sticky tape. 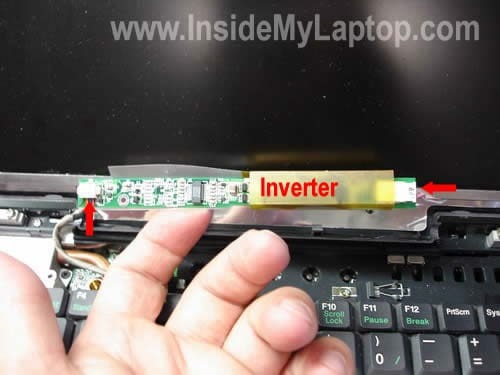 Carefully separate the inverter board from the cover. 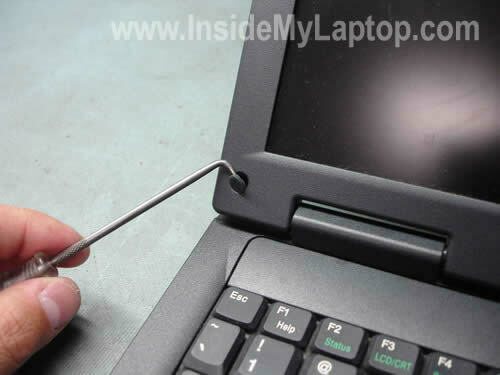 You can find spare display parts for your Gateway Solo 1400/1450 laptop here. Unplug cables from both sides of the inverter board and remove it. 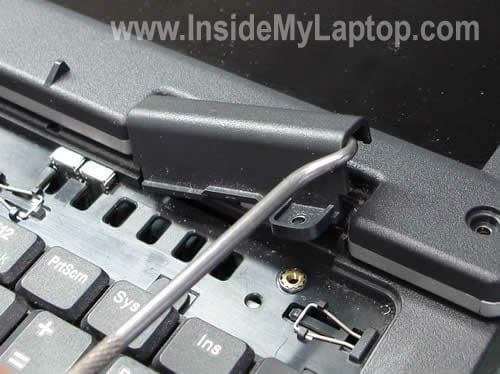 Remove one screw securing the LCD cable connector to the motherboard. 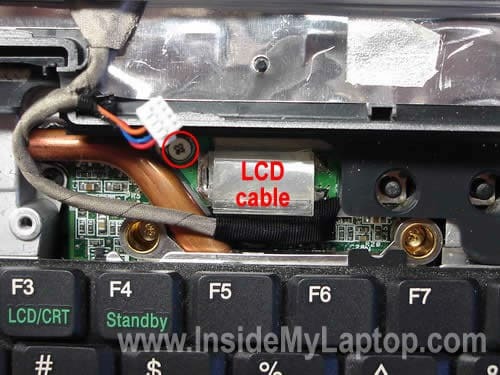 Carefully disconnect the LCD cable connector from the motherboard. 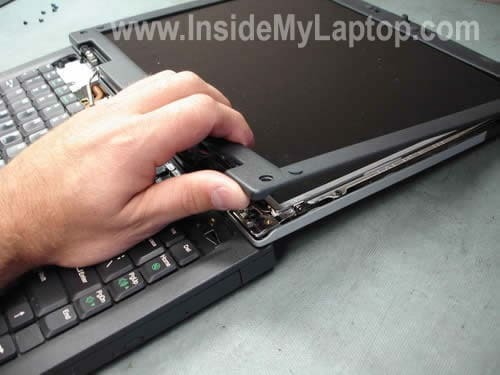 Remove ten screws securing the LCD assembly to the cover. 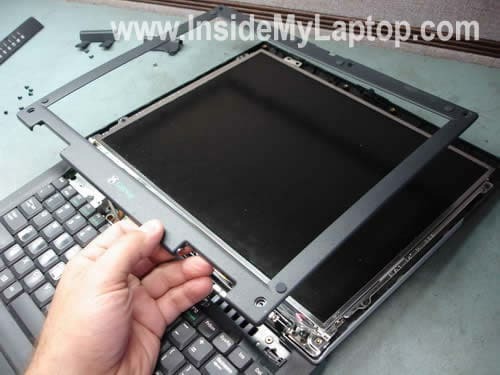 Remove the LCD assembly. 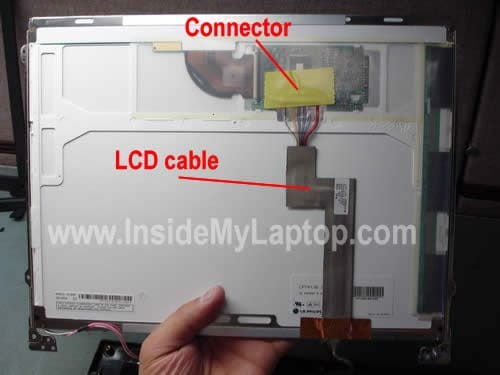 Now you can access the back side of the LCD screen and remove the cable. Remove the yellow sticky tape covering the LCD cable connector. 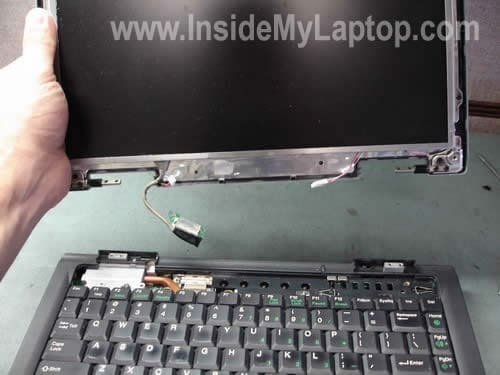 Unplug the cable from the LCD screen and replace it with a new one if needed.